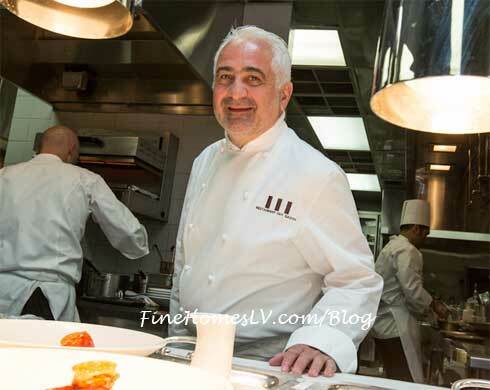 Restaurant Guy Savoy and Old Homestead at Caesars Palace have been honored in Wine Spectator’s 2012 Restaurant Wine List Awards. Restaurant Guy Savoy has successfully renewed its coveted Grand Award and Old Homestead is a proud first-time recipient of the Award of Excellence. Wine Spectator’s Restaurant Wine List Awards are given based on the wine list’s selection, its pairing with restaurant cuisine and the general appeal to wine lovers. Wine lists are judged on a variety of criteria including vintages and appellations for all selections, complete producer names and the presentation and appearance of the list. The Grand Award winners, representing the program’s top echelon, typically offer 1,500 or more selections and feature serious breadth of top producers, outstanding depth in mature vintages, large-format bottles, superior organization, presentation and wine service. Award of Excellence winners offer at least 100 selections and feature a list of a well-chosen selection of quality producers, along with a thematic match to the menu in both price and style. Five-time winner of the Grand Award, Restaurant Guy Savoy at Caesars Palace offers gourmet dining from French Chef Guy Savoy in his only U.S. dining establishment. The Michelin starred restaurant features amazing prix fixe menus and a la carte options including signature dishes like the silky artichoke and black truffle soup and the decadent colors of caviar to go with an impressive wine list and dessert cart. Restaurant Guy Savoy is open Wednesday through Sunday from 5:30 p.m. to 9:30 p.m.
Award of Excellence winner, Old Homestead Steakhouse at Caesars Palace, is one of New York City’s most historic restaurants. A classic eatery known for its quality steakhouse selections and legendary history, Old Homestead features mouth-watering dishes from the classic New York menu. For more information on Caesars Palace Las Vegas restaurants, or to make restaurant reservations, please call: (702) 731-7110.